Dream On Me universal convertible crib guard rail is used to convert a crib into a toddler bed to help keep your little one safe and secure in the toddler bed stage. 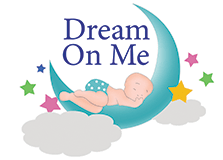 Dream On Me proudly designs and builds high value baby furniture which is made of solid wood construction, the baby furniture collections by Dream On Me come in both contemporary and traditional styles. All pieces are crafted to be strong beautiful and ageless. The Dream On Me universal guard rail can only be used with the Kaylin, Cape Cod, Morgan, Chesapeake, Bailey, Ella, Charlotte, Davenport, Alexa, Liberty, Brody, Alissa, Violet, Niko, Synergy, Ashton, Addison, Eden, Chloe, Chelsea, Havana, Milano and Madrid Convertible Cribs into a toddler bed.